Following on from my post about the Instagram accounts you need to follow if you love makeup, I thought I’d do a follow up post featuring my favourite YouTube channels. I fell out of love with YouTube for a little while, I never really kept up with any of my subscriptions. But recently I have got back into it and followed loads more beauty accounts. I thought I’d share what I think are the best YouTube channels for makeup & beauty addicts today. I LOVE Safiya’s channel. I got into it by watching her makeup challenges. from her “trying $1 makeup from Wish” video to watching her melt every lipstick shade from Sephora together. She injects fun and humour into everything she does. I think I’ve binge watched pretty much every video on Saf’s channel and I would 100% recommend her if you like makeup but don’t take things too seriously! I cam across Cristine’s channel by watching Safiya. Honestly, I think this was one of my best discoveries of 2018. Every video I watch by Cristine has me in fits of laughter. While she started out as a nail art channel, her YouTube has kind of morphed into a bit of everything channel nowadays. She was the mastermind behind #polishmountain, a Holo queen with over 23 million views. Cristine also has two of the cutest cats (Menchie & Zyler). One of my favourite videos is when she dresses them both up in halloween costumes. Not directly makeup related but too cute not to watch! Mykie is a special effects makeup artist based in LA. She creates some truly incredible looks which are mainly based around horror themed subjects. She turned herself into Squidward from Spongebob Squarepants, used a condom for her nose – and it looked pretty damn good too! She’s definitely someone to keep an eye on around Halloween time! An’s videos are so beautifully shot, they all look so clear and crisp. Her channel is perfect is you want easy to follow eye makeup looks. She has a variety of tutorials, from halo eyes to cut crease looks. I often head over to her channel when I’m looking for some inspiration. I got into Brad’s videos by watching his “hairdresser reacts”series. Brad is a hairstylist and the premise of these videos is that he watches other videos of people essentially ruining their hair – and reacts! It makes for super entertaining watching and he often gives tips and tricks on how to rectify the situation. 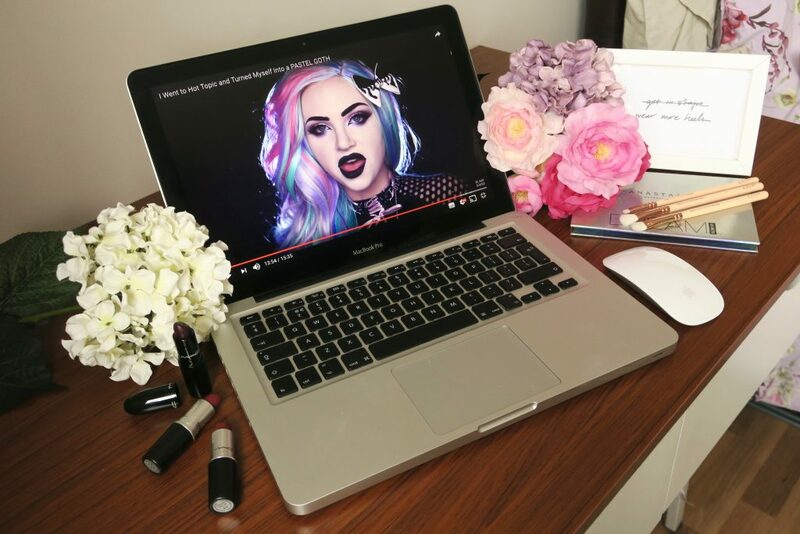 So there you have my list of the best YouTube channels for makeup & beauty addicts! I’m regularly binging videos from all of these channels and implore you to do the same – you won’t regret it!